Graduated in architecture at the Instituto Tecnológico de Estudios Superiores de Occidente (ITESO) in 1997, Pablo Alexanderson, with other architects, founded the Workshop 16/16, moved by the idea of having a flexible space that could self manage projects in the city. 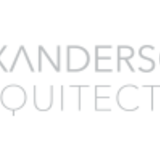 In 2011 he founded Alexanderson Arquitectos, an architecture firm located in the city of Guadalajara, at first developing primarily residential projects and later collaborating in projects for the public space, which allowed them a wider vision to different interests and desires. It is in honesty and professional ethics, that Alexanderson Arquitectos seize the opportunity to create new dialogues, highlighting the different necessities of all the people involved (clients, collaborators, suppliers, etc. ), revealing experiences of greater value and expressiveness. Pablo Alexanderson has participated as a speaker in several universities and forums around Mexico, among them: En-cuentrosAarquitectura Mazatlán, Congreso Perspectiva Culiacán, Universidad de Ciudad Guzmán, Tec de Monterrey Morelia, Universidad de Guadalajara, CIHAC , Colegio de arquitectos de León. His work has appeared in Arquitecturas Mexicanas, lo mejor del siglo XXI, vol. 6 by Editorial Arquine, in the yearbook of the Mexico design magazine Elementales de la Arquitectura, in Stilo Interiorismo + Arquitectura + Diseño magazine, Cream Guadalajara magazine.